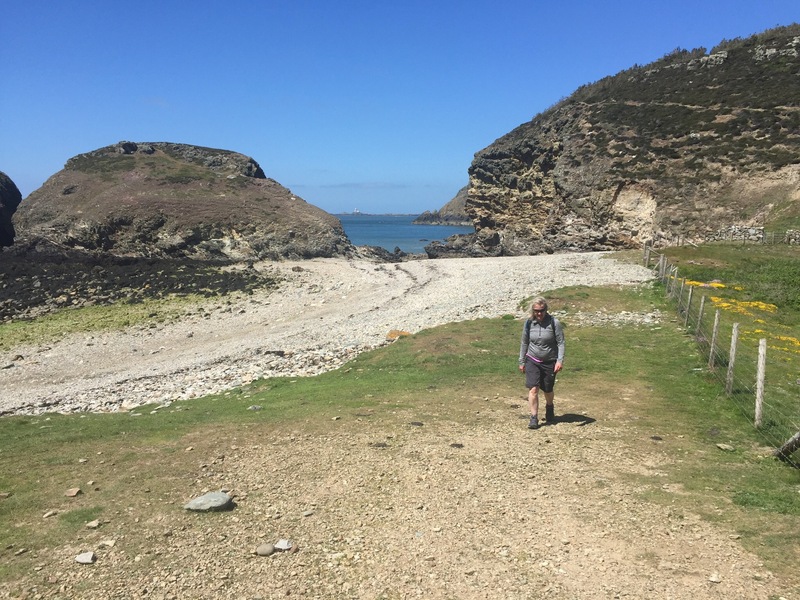 Walking the Anglesey Coastal Path in Wales Cemaes Bay to Holyhead. 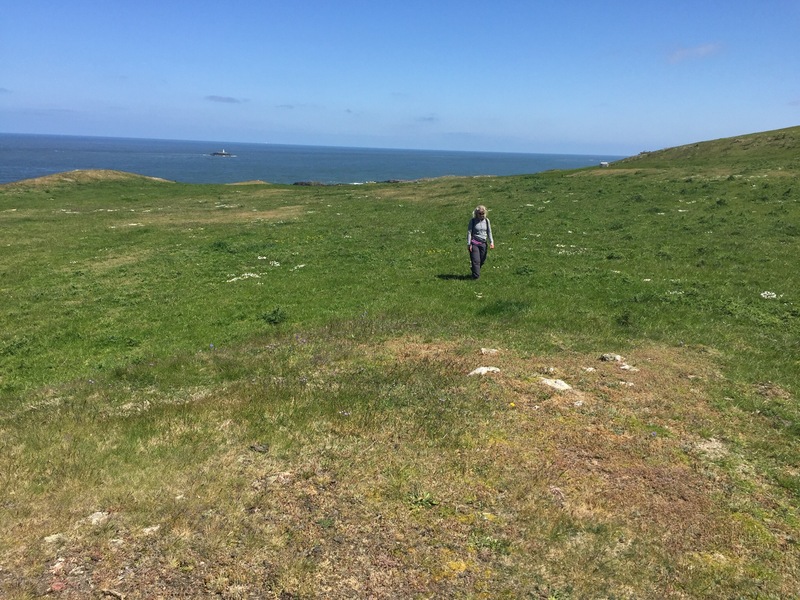 This walk was done over two trips Llanfachraeth to Holyhead in August and Cemaes to Llanfachraeth in May. All combined it’s c40k route. 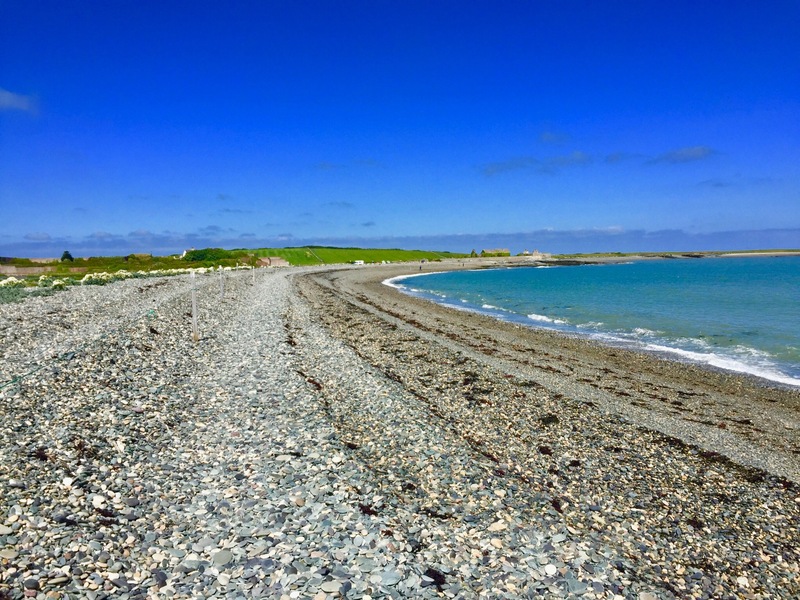 Cemaes Bay is a great place to start this walk. 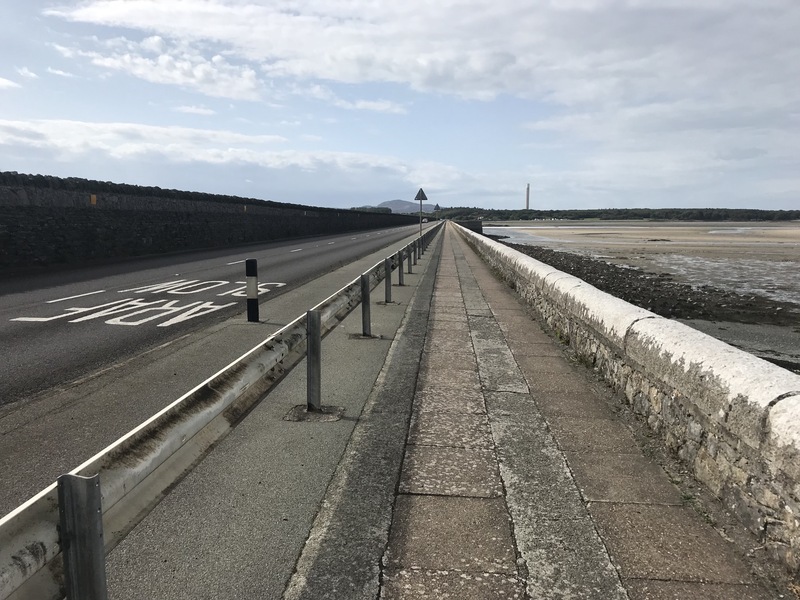 Park in the small car parking on the sea front and start walking towards Holyhead! 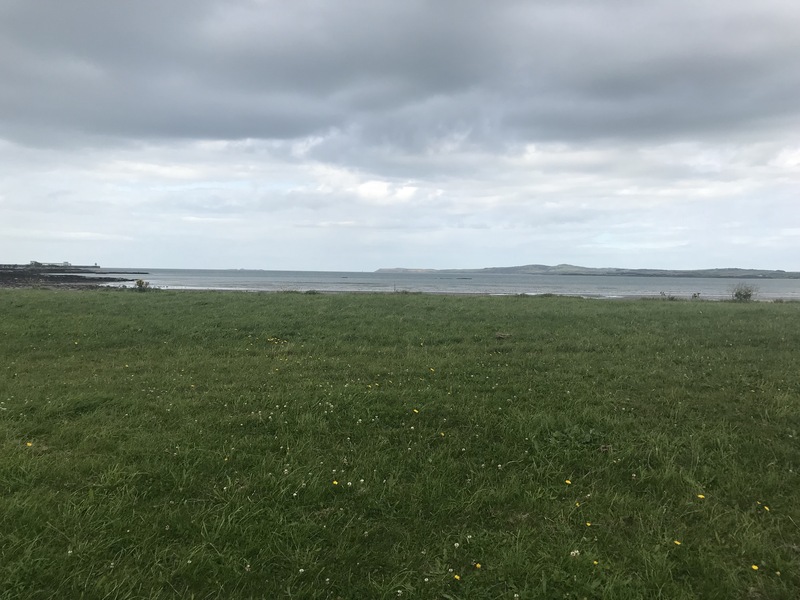 On leaving Cemaes you turn inland slightly as you circle the Wylfa Power station, which at the time of writing in 2017 was undergoing major development. Keep your eyes on the path as some routes may have been temporary re-routed. Cemlyn Bay is lovely. 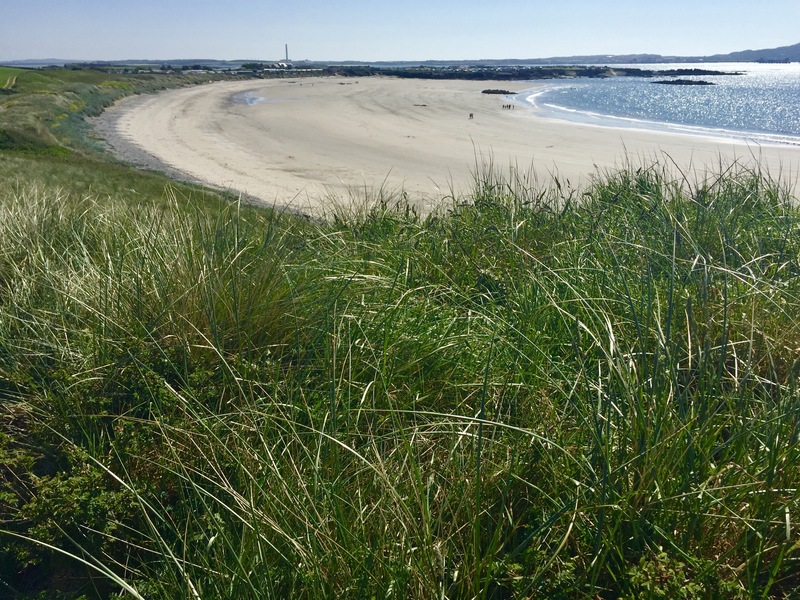 Walking along the shingle beach next to the bird reserve was a lovely experience. Hard going though on the stones. 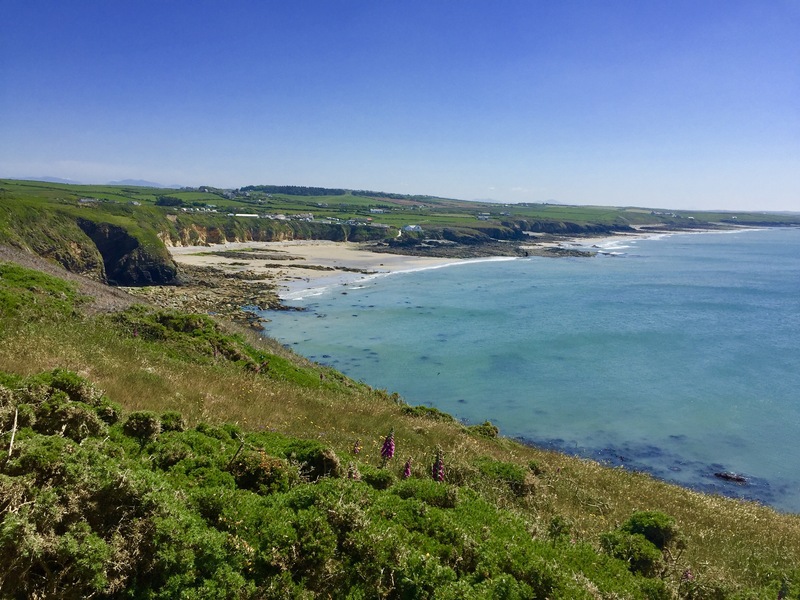 The path weaves along the coastline until it reaches Camel Head. 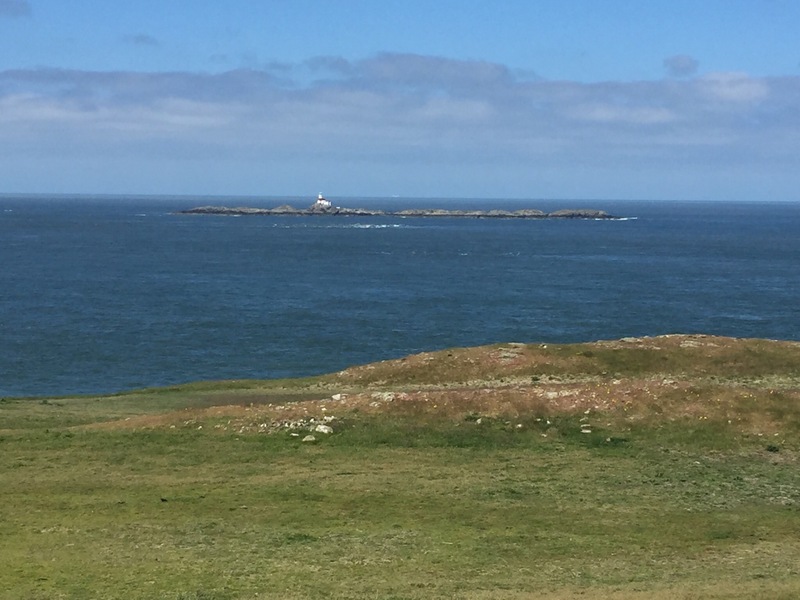 Look out for the White Ladies… stone towers which are navigation aids for ships to avoid the dangerous rocks in this area. NOTE : this section of the path is closed at certain times, check to ensure it’s open before your do it. 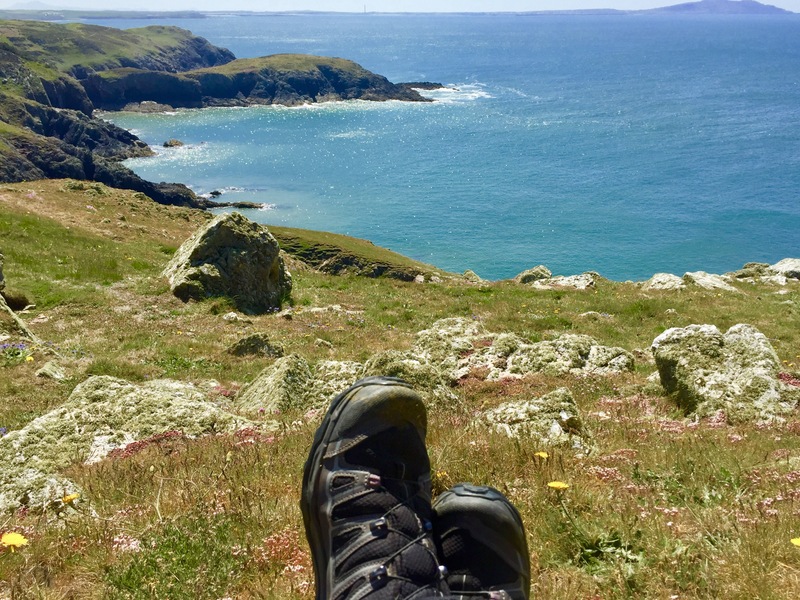 Rounding Camel Head you are met with a lovely spot for a break that has wonderful views over towards Holyhead and the Skerries. Walking down from Camel Head it’s very picturesque and eventually you will arrive at Ynys y Fydlyn which is a rocky outcrop into the sea… very nice. 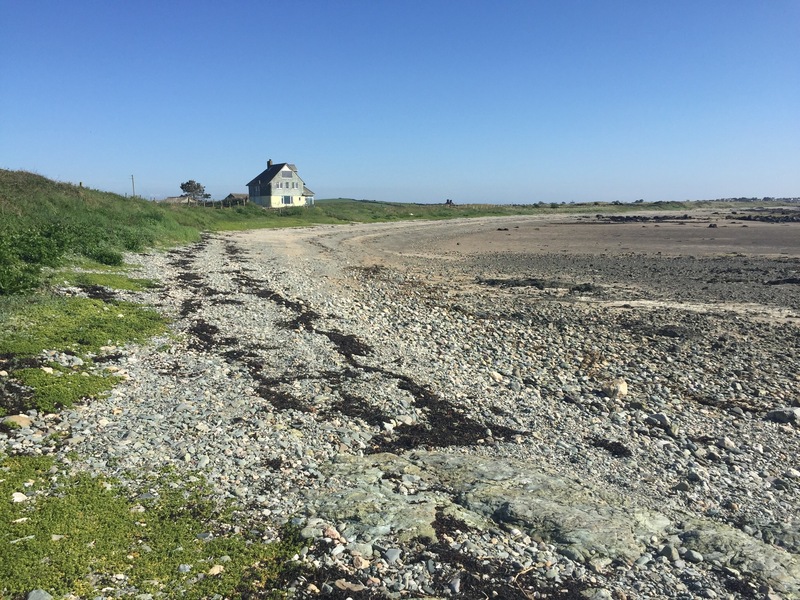 The path follows the shoreline again before moving inland along a small estuary towards Llanfachraeth. At the top of the estuary you can follow the track to the village, or cross the green bridge the follow the coast path. On arrival in Valley the path joins the main A5 and crosses Stanley Embankment back into the outskirts of Holyhead. 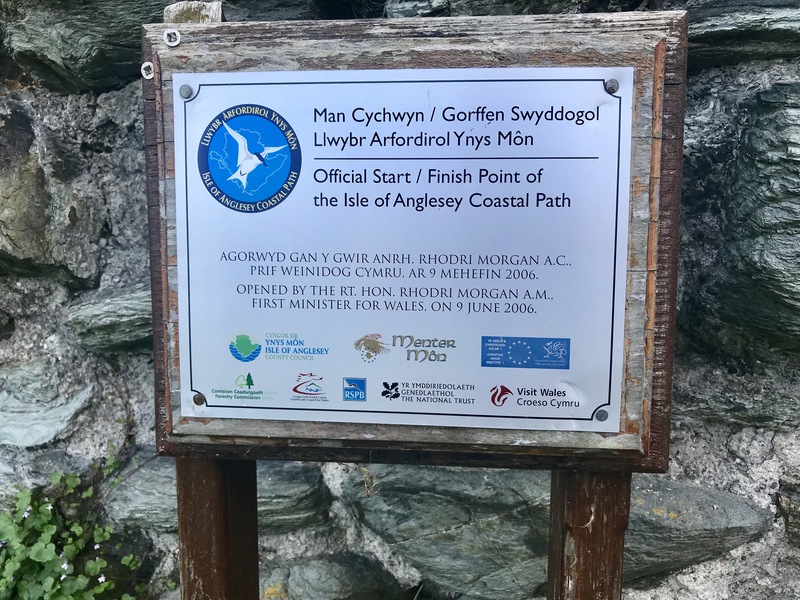 Just follow the Coastal path Signs and you will come to Penrhos Beach, the last one before reaching Holyhead town centre itself. 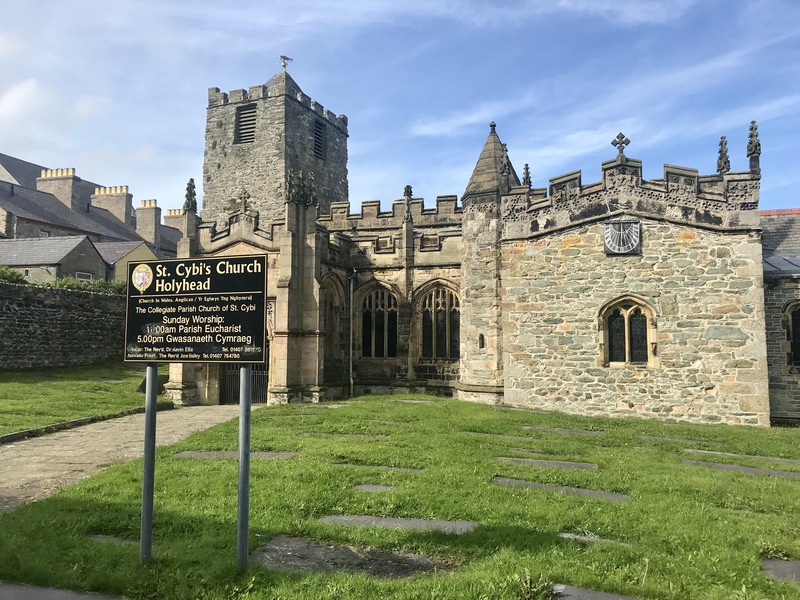 The path ends and St Cybi’s church in Holyhead. 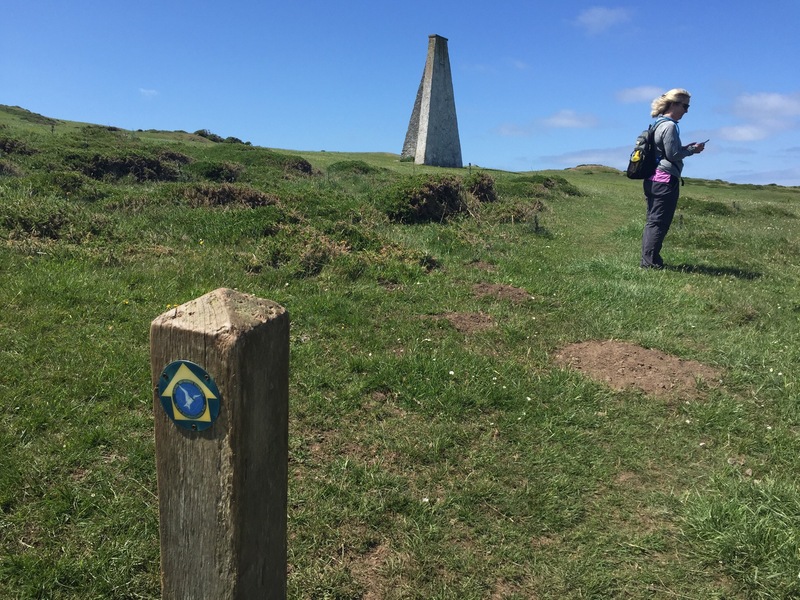 Don’t forget to look for the official sign in the churchyard that marks the start and end of the path.